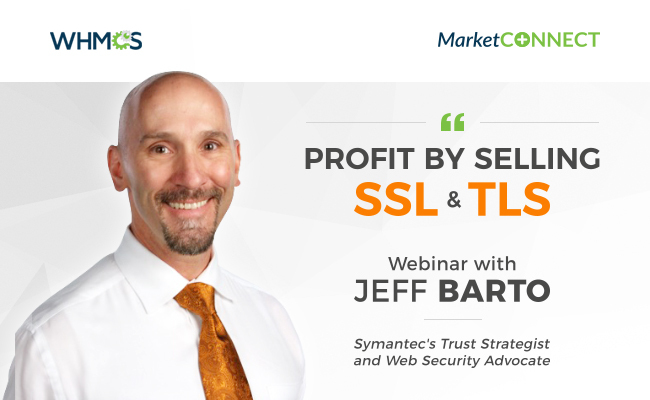 In case you missed the live webinar, here is the recording of Profit by Selling SSL & TLS. 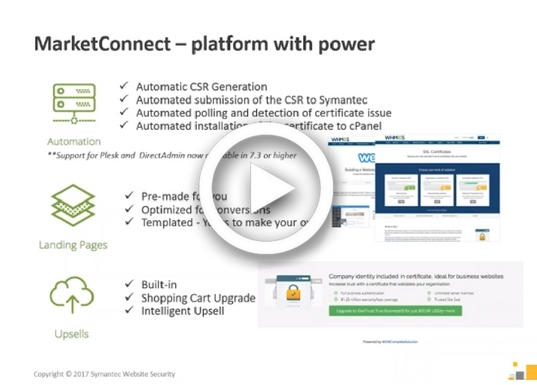 and how MarketConnect makes it easy to begin selling SSL. You're only a couple of clicks away from reselling the market leading SSL brands GeoTrust, RapidSSL and Symantec. Selling SSL has never been easier. How does MarketConnect handle clients who don’t pay renewals? I have just started using MarketConnect and I have a question about renewals that clients don’t pay. In my scenario some clients have chosen manual bank transfers and refuse to use an automated payment system. As you know, MarketConnect forces you to have a prepaid amount in a wallet on MarketConnect. How does MarketConnect handle subscriptions when my client decides not to pay his invoice, but does not let me know he wishes to cancel? Will MarketConnect automatically charge me causing me to incur the cost that my client is not paying for? Because I cannot obviously force my client to pay. For example, if I am unable to contact my client for any reason to confirm the renewal of the service will I end up paying for his service and then cancelling the service without a refund to me, or will MarketConnect only charge me once I instruct MarketConnect after I charged my client by marking the invoice as paid on my side? I really hope that MarketConnect will not deduct the service subscription until I marked my invoice as paid. Personally I don’t mind if MarketConnect suspends the service due to non payment as I can handle it from there, but I have a problem if MarketConnect does not respect the resellers agreement with my client before charging for the services. If the latter is the case, then I will have to not use MarketConnect at all as it would seem to be putting me in a difficult position. Please can someone help me understand how it works. TypeError: Argument 1 passed to WHMCS\MarketConnect\Promotion\Service\ServicePromotion::getAddonArray() must be of the type array, null given, called in /home/whmcs/public_html/75/vendor/whmcs/whmcs-foundation/lib/MarketConnect/Promotion/Service/Symantec.php on line 0 and defined in /home/whmcs/public_html/75/vendor/whmcs/whmcs-foundation/lib/MarketConnect/Promotion/Service/ServicePromotion.php:0 This can result in an inability for clients to place orders.